It needs time to achieve great things. 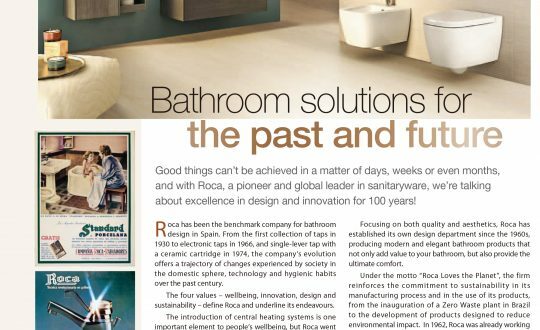 For Roca, the pioneer and global leader in sanitaryware, it is a 100 years story of design, innovation, and excellence to become what they are today! 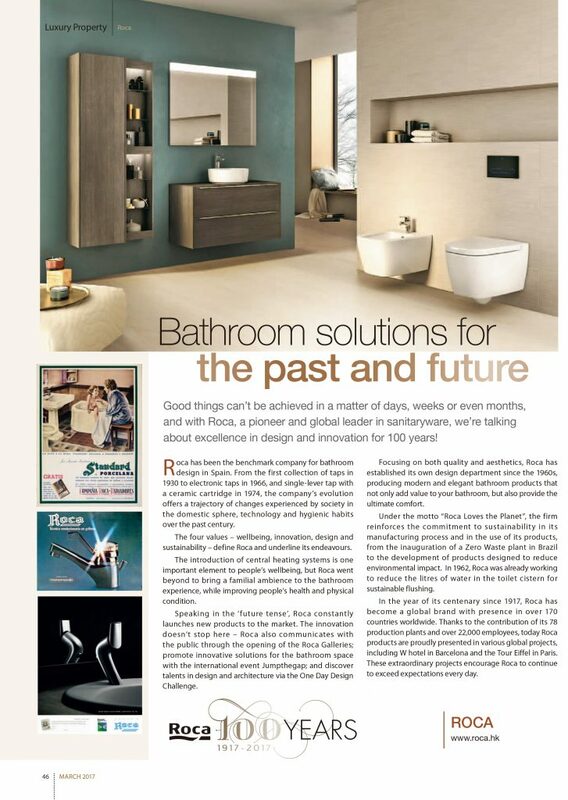 Established in 1917, Roca has been the benchmark company for bathroom design in Spain. Over the last century, the company has participated in various revolutionary changes in our bathrooms, from the evolution of taps to bathtubs, while cherishing its four principle values – well-being, innovation, design, and sustainability. From introducing central heating systems to creating the ideal bathrooms for the modern families, Roca always puts people’s well-being at the centre of their design – to improve their happiness, health, and physical condition. Innovation is another important aspect of Roca. Apart from launching new products to the market, they are also dedicated to nourishing young talents in the field of design and architecture; therefore, they have organised the international design contests ‘Jumpthegap’ and ‘One Day Design Challenge’ to promote creative solutions for the bathroom space. Also, Roca is enthusiastic to communicate with the public about new ideas through the Roca Galleries globally. Since the 1960s’, Roca has formed its design department to ensure the high quality and aesthetic of its products, in the belief that the modern bathroom products should be beautiful, elegant, as well as comfortable. Under the motto ‘Roca Loves the Planet’, the company firmly commits to promoting sustainability in its manufacturing process and the use of its products, from the inauguration of a Zero Waste plant in Brazil to the development of more eco-friendly products. In 2017, Roca has already become an international brand extended to over 170 countries, thanks to its 78 production plants and over 22,000 employees around the globe. Today, you may find Roca products in projects worldwide, such as W hotel in Barcelona and the Tour Eiffel in Paris. The extraordinary achievements in the past encourage Roca to exceed greater expectations in the future.